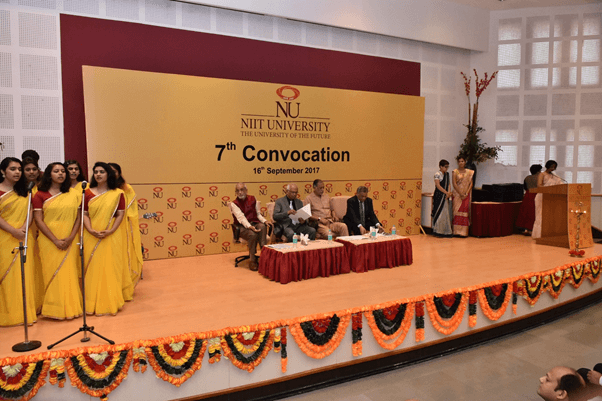 The 7th Convocation Ceremony was held at NIIT University on 16th September 2017. 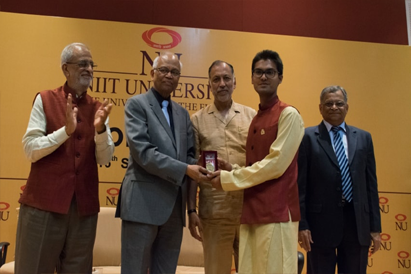 334 students graduated in all of whom 213 were B.Tech, 13 M.Tech, 62 MBA (Finance & Banking) and 45 PG Diploma (Banking & Relationship Management). 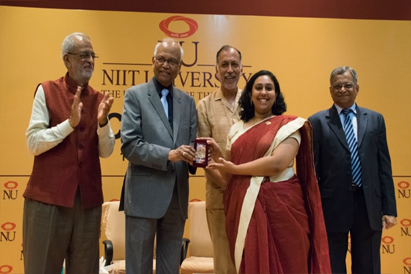 The University also granted its first PhD Degree from the Educational Technology area. 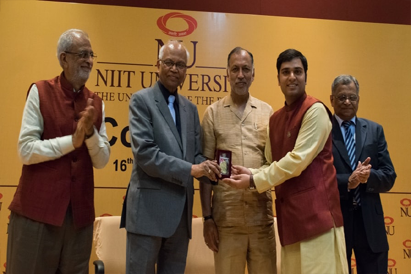 Mr. Rajendra Pawar, Founder, NIIT University, thanked parents for the faith reposited in a young university like NU and said that NU will forever remain young as to be the University of the Future we have to be in a continuous state of fruitful experimentation in education, technology and pedagogy. 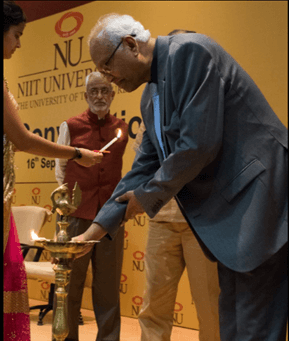 Mr. Vijay Thadani, Co-Founder, NIIT University, introduced the Chief Guest, Dr. Mashelkar. 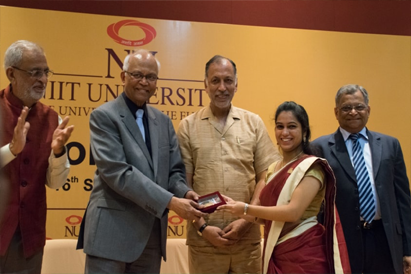 Speaking on the occasion, Prof. V.S. 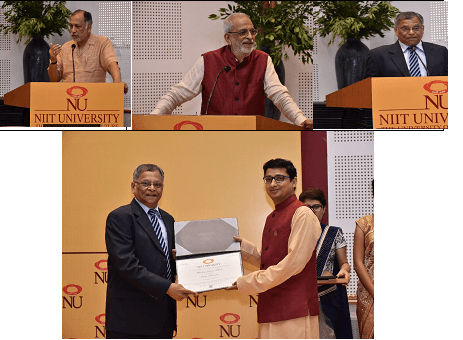 Rao, President, NIIT University, congratulated all graduating students and said that NU will continue its journey of excellence in education. 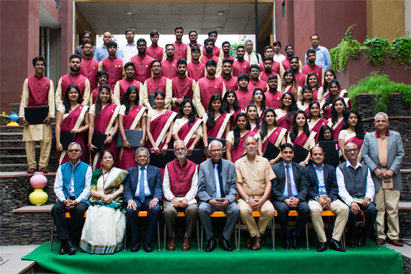 All graduating students looked resplendent in maroon & beige traditional wear. 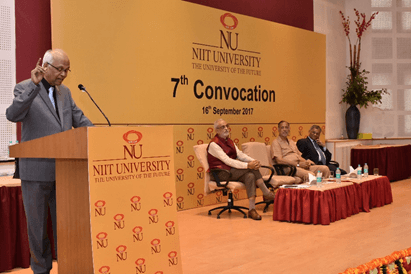 Dr. Sunil Khanna, Dean (Research) opined that choosing traditional wear in the place of the standard graduation black gowns and hats was a symbolic gesture of leaving the old behind and moving. 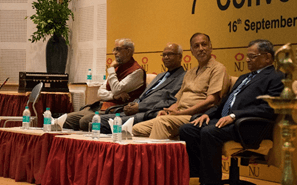 It is in keeping with the values of TALF – The Asian Lenses Forum, wherein we are now looking at the world through a different lens. Graduating students left messages for their juniors on the 'Memory Wall' created for this occasion. The Convocation Selfie Station saw new graduates getting themselves photographed. 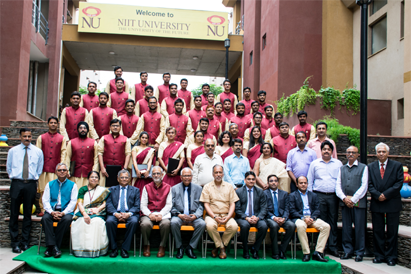 The photographs were printed and presented to them in custom NU photo frames. 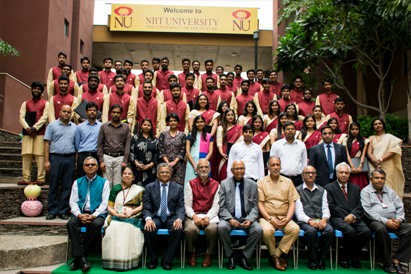 Proud parents of graduating students and other eminent guests also graced the occasion.